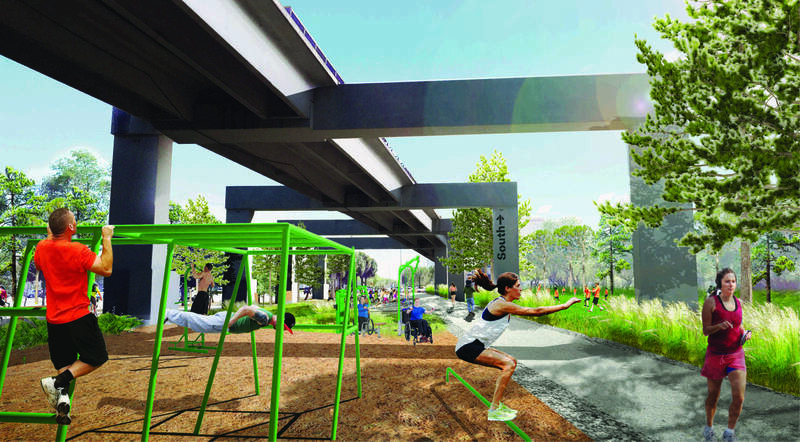 The Underline will transform the land below Miami’s Metrorail from Brickell to Dadeland into a 10-mile linear neighborhood park, urban trail, and living art destination. Inspired by Miami’s native vegetation and connected to mass transit, The Underline will serve as a gateway to numerous communities and connect people to place. Well-positioned in the region, The Underline is anchored on the north end at the Miami River near Brickell Avenue, Miami’s growing financial district, and on the south end by Dadeland South Metrorail Station serving one of the country’s highest grossing malls. The Underline will encourage residents to walk, bike, and take mass transit as an alternative to driving making us a healthier, greener, more mobile, connected and sustainable community. We envision a unique and sustainable corridor that supports mobility, community, recreation, and supports innovation in public spaces, transportation, planning, and redevelopment. Inspired by South Florida and the Miami region, The Underline will become: an alternative mode of transportation; a significant social and civic backbone for the area; a linear experience of inviting spaces that foster connectivity and engagement, enhance value, improve social exchange, and promote a healthier lifestyle. 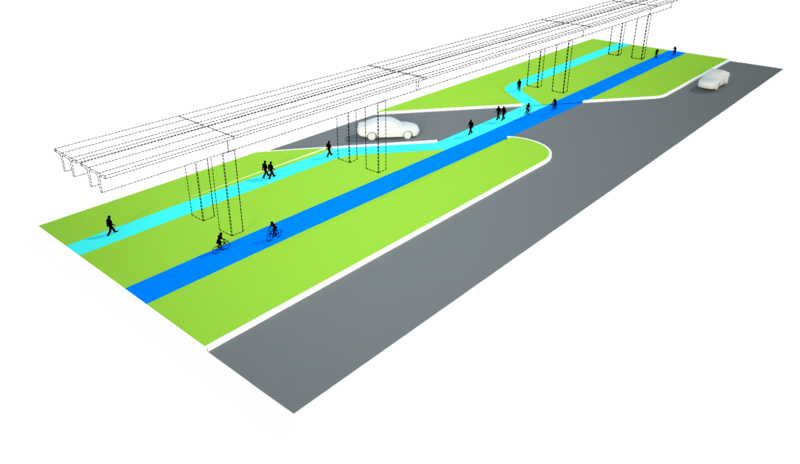 The Underline is a transportation solution offering walking, biking and access to transit as an alternative to driving. 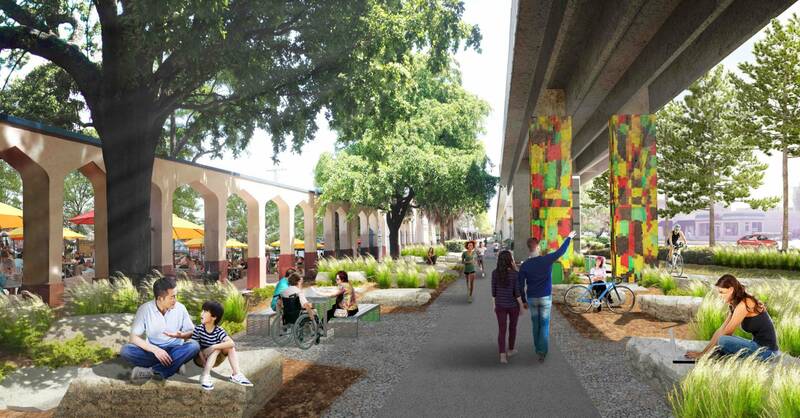 As a continuous multimodal corridor, The Underline will be the primary bicycle and pedestrian connection from southern neighborhoods and cities to downtown Miami and other destinations and serve as a critical spine in a regional network of existing and proposed trails. In addition to being an urban trail and multimodal corridor, The Underline will be a 10-mile linear, neighborhood park. 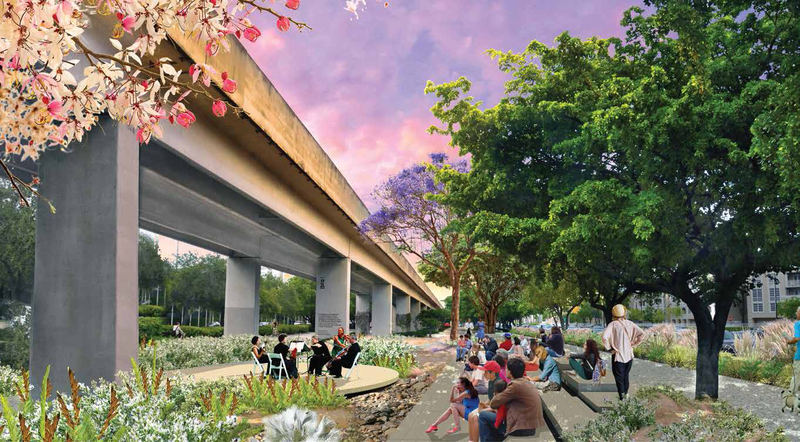 With a generous width ranging from 70 to 140 feet, the greenway will be influenced by the overhead structure of the Metrorail, the unique nearby neighborhoods, the large amount of adjacent land, native vegetation, and its relationship with existing institutions, destinations, parks, canals, and the Miami River. Art along the corridor will be both temporary and permanent with the purpose of exciting civic engagement and connecting people with place. In collaboration with Miami-Dade County Art in Public Places, The Underline will be a destination outdoor art gallery that attracts residents and visitors alike and complements the thriving art scene throughout Miami. The Underline will serve as a gateway to adjacent communities, by improving physical access from north to south, as well as across US-1 / South Dixie Highway. It will build on the unique identities of each adjoining neighborhood by providing distinctive places and programming relevant to each community. 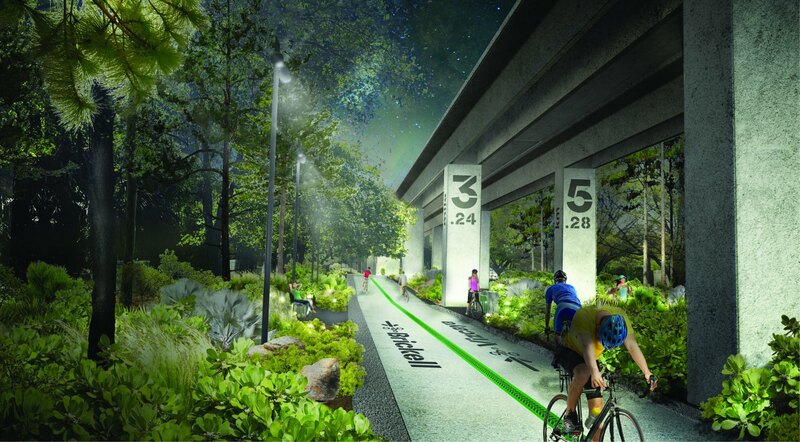 The Underline will be a spine to a future network of greenways throughout Miami Dade County and creates the 20+ “Miami Loop” with connections to Ludlam Trail, Miami River Greenway, and Rickenbacker Causeway (Plan Z). Our masterplan proposes widening crossings to 18′ (the combined width of the 2 paths), painting intersections green, flashing beacons to alert drivers, offsetting crossings from US1, and no right hand turn on red off US1.